This week before Thanksgiving finds each of us in a different place. Some of us are preparing to close up early. Others of us may be facing a pre-holiday, pre-Black Friday rush in our business or in last-minute preparations for family. And some of you Coloradoans may even be taking a ski day! But, for all of us who own businesses or provide financial advice to those who do, this week provides a good opportunity for us to slow down enough to discover gratitude for our life and all the blessings we are experiencing. 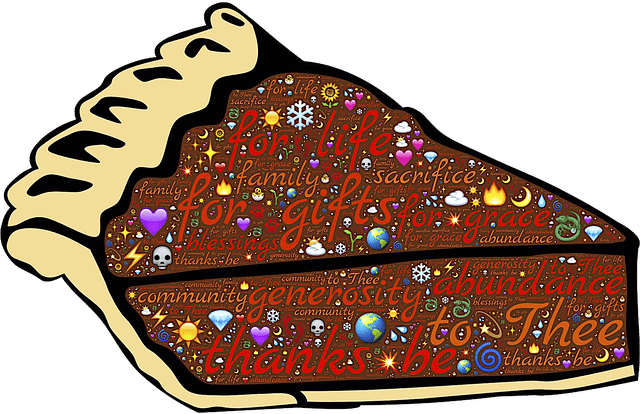 In addition to the intrinsic benefit of giving thanks, there are objective reasons for doing so. According to U of California Davis professor, Robert Emmons1. are more optimistic about the future. Based on this and other research, Emmons concluded is that gratitude is a choice and one’s happiness “set-point,” unlike our weight set-point, can be modified through grateful responses to our life experiences. In another study, Emmons and his colleagues divided participants into three groups who each made weekly entries in a journal. One group recorded five things they were grateful for. Another group described five daily hassles, and a control group listed five events that had affected them in some way. reported fewer health problems than the other participants. Last year I experimented with the first exercise I recommend below. I found that intentionally remembering and recording and ruminating on 5 “good, true, and beautiful” happenings or people each day is a powerful elixir for elevating my attitude. Won’t you join me in doing this exercise? This year I find myself deeply thankful for my new partners in American Business Advisors. So, I encourage you to look for the good in your business and your life in this week leading up to Thanksgiving. Then “go public” on Thanksgiving Day with your gratitude experience! This is probably the most effective strategy for increasing your level of gratitude. Set aside time daily to record three to five things that you are grateful for. Schedule in your calendar a regular time at the beginning or the end of the day. According to Emmons, the act of writing "allows you to see the meaning of events going on around you and create meaning in your own life." It is a powerful way to connect with your own Big Why for living. Two obstacles to being grateful are forgetfulness and lack of awareness. You can counter them by giving yourself visual cues that trigger thoughts of gratitude: set alarms on your phone or tablet or make generous use of sticky notes to remind you to pause and consider your blessings. Find at least one other sojourner and hold each other accountable for growing gratitude in life! In addition, consider: who can you thank? When and how will you do that? Consider sending up a prayer, mailing a card, making a phone call, or inviting that person to lunch.